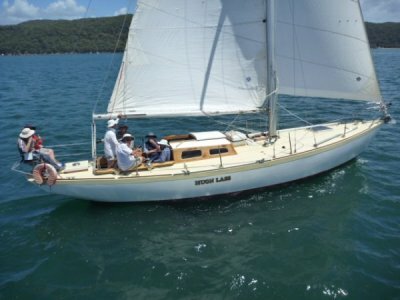 39ft Classic Timber Yacht "Huon Lass" A true Tasmanian classic built for apple farmer, yachtsman and raconteur Hedley Calvert by master boatbuilder Max Creese in Hobart 1965. Construction of Mahogany and Huon Pine "Huon Lass was designed by British naval architect Robert Clark who had designed the famous Caprice of Huon for . . .
"Scheherezade" was built as an evolution to deck saloon for the proven Cole designed Nantucket 43. Construction by Korman Marine 2001 to exacting quality and fitted the same to be a performance bluewater yacht perfect for a discerning cruising couple. 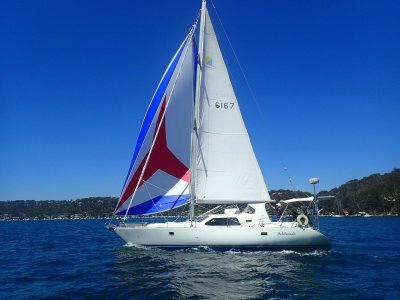 Sold by us 2011 to the current owner with many successful cruising adventures to the . . .